Evolutionary genomics - What is evolutionary genomics? 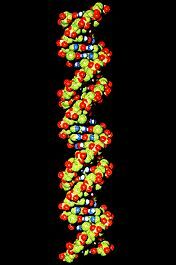 The genome of an organism is its complete set of DNA. The genomic sequences, and partical sequences, of organisms from several species can be used to study how genomes change during evolution. Evolutionary genomics is concerned with any question that can be asked about the evolution of genomes. 1. How, and why, the total size of the genomes has changed? 2. Why is the DNA of some species longer than in other species? 3. Do some species have more coding DNA (that is, more or larger genes) than other species? And if so, why? 4. Why do some species have more non-coding (and perhaps "junk") DNA than others? 5. How do genomes, or parts of genomes, change in size during evolution? We can also try to relate genome evolution to other evolutionary events. 6. When have genomic changes have occurred? 7. What genomic changes are associated with major evolutionary events, such as the origin of animals or the origin of vertebrates? Were these major events produced by changes in the number of genes, or by changes in the sequences of a constant number of genes?